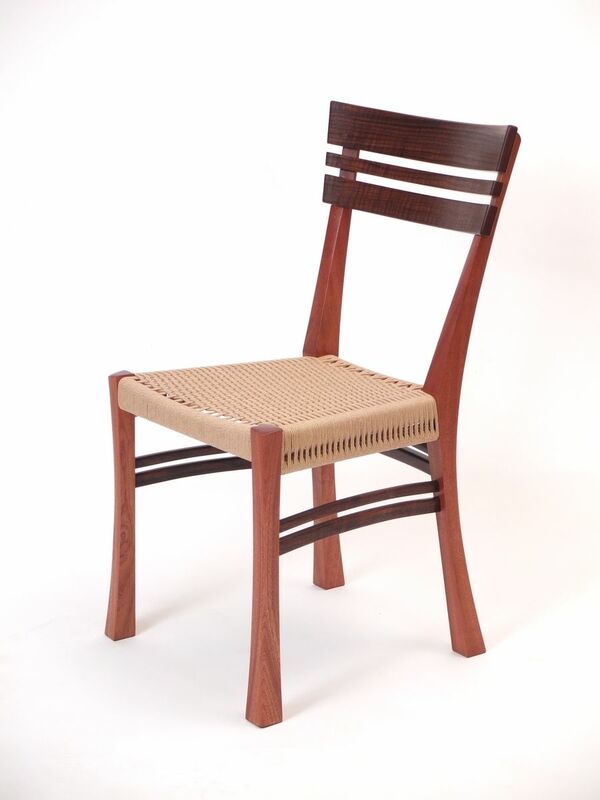 This chair is the third design to come in this series. 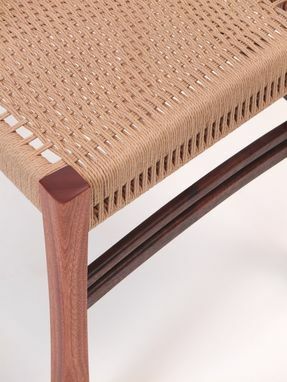 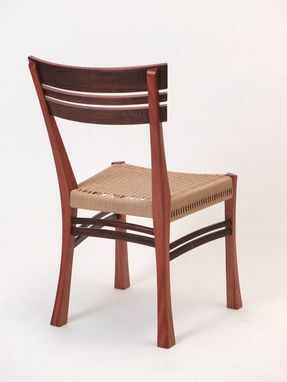 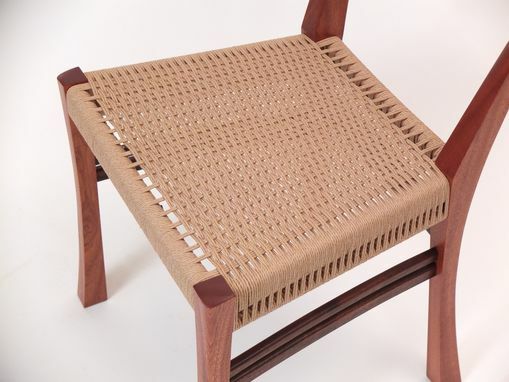 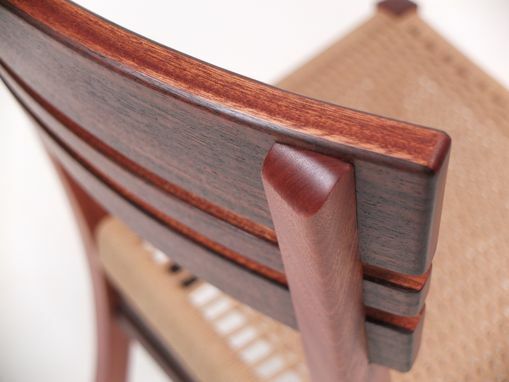 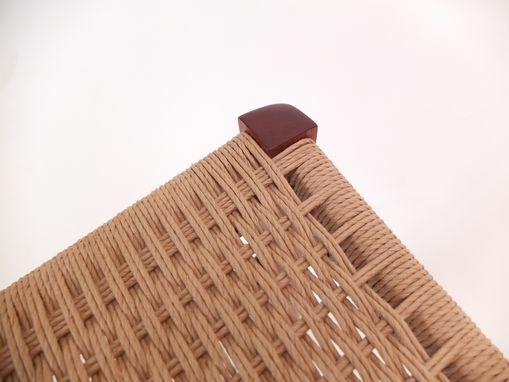 Mahogany and Walnut are featured, as well as the Danish Cord woven seat. While this is sized to work as a desk chair, it could be altered to work better as a dining or side chair.